So when did I first read the words of George Orwell? The honest answer is I don’t remember. It feels like Orwell’s writings have always been a part of my life, although that can’t be true. As I mentally reach up to the highest shelf in the library deep within my thoughts, I find the books that have shaped me. The ones that have been so important, I’m not sure where they begin and I end. If I were to trace a finger along the dusty spines with their faded familiarity, I would find Jane Austen, Thomas Hardy, F Scott Fitzgerald, Gabriel Garcia Marquez and of course, Shakespeare. Sitting amongst them would be George Orwell. These writers delighted, thrilled and intrigued me; they moved me to tears and to joy. They challenged me to read more, to open my mind to new thoughts and ideas. George Orwell certainly did that, but the sinister edge to his writings troubled me. He showed how politics threads its way through daily life and urged watchful scepticism. Like many others, I began reading Animal Farm in a classroom surrounded by my contemporaries. In the poorly insulated building, the air was either thick with warmth or icy with cold as we took it in turns to read the text, stripping out much of the drama with our inexperienced voices. In those moments, uppermost in my mind was the worry that I might be picked to read out loud. But the story of Boxer et al still drew me in and I soon found myself racing ahead of whoever was reading. The battered classroom would disappear. I was there amid the mud, an observer of the twists and turns of the farmyard revolution. I remember the mix of sadness and anger I felt as the good intentions of the many were subverted by a power-hungry few. It encouraged me to learn from history and pushed me to ask questions. Now I make my living by asking questions and as a journalist, George Orwell speaks even more clearly to me. Two things have made me revisit his work in recent years. Firstly, my sons began studying Animal Farm at school; they too sat in their classrooms taking it in turns to read Orwell’s words out loud. Secondly, winning the Orwell Prize for Exposing Britain’s Social Evils made me want to explore his work once more. Again, I have found he entreats us to look beyond the obvious; he spells out the power the written word has to give voice to the voiceless and he demands that we challenge when we see wrong. 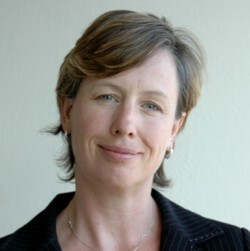 Alison Holt is the BBC Social Affairs Correspondent. She was the winner of the inaugural Orwell Prize for Exposing Britain’s Social Evils, which is sponsored and supported by the Joseph Rowntree Foundation, in 2015.